It's no great secret that I love dressing casual. So how does a girl who dresses casual most of the time dress when she's really relaxing? Pyjamas I hear you say, well yes, I am mega partial to a good pair of pyjamas, but if I still have stuff to do and I want a really relaxed look, I will go with jersey separates. 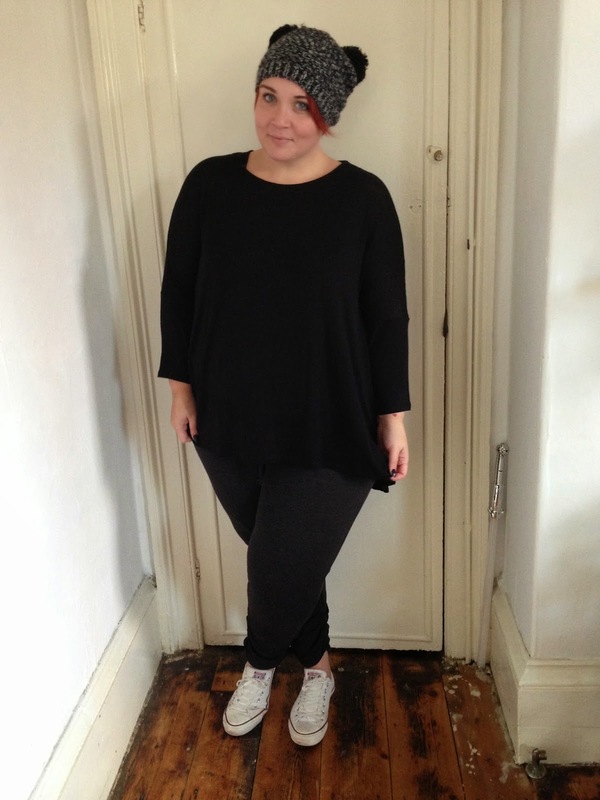 These particular jersey beauties are from Taking Shape, The top is a loose fit, box cut t-shirt which is perfect for layering up. It is a really fine knit, very lightweight and soft. 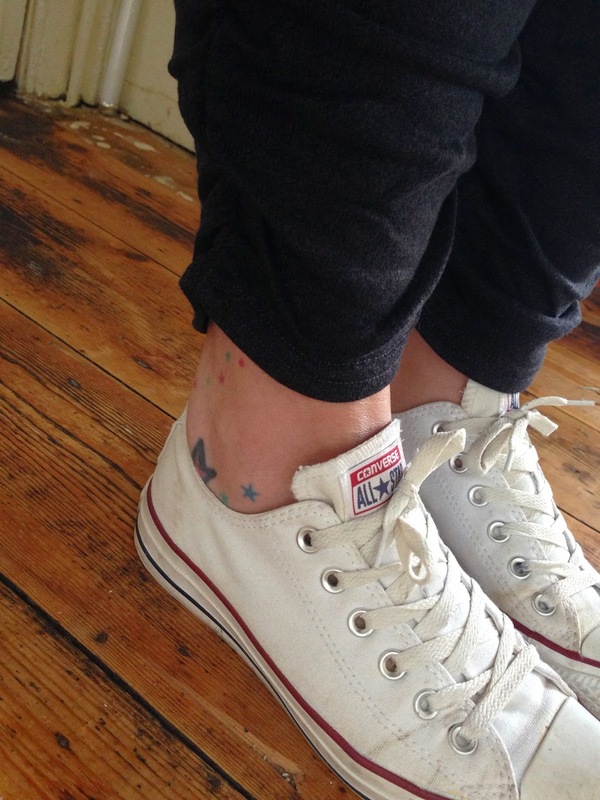 The track pants are a dark grey and have a really cute ruche detail to the ankle. The sizing is true and the cut of the trousers is really nice. 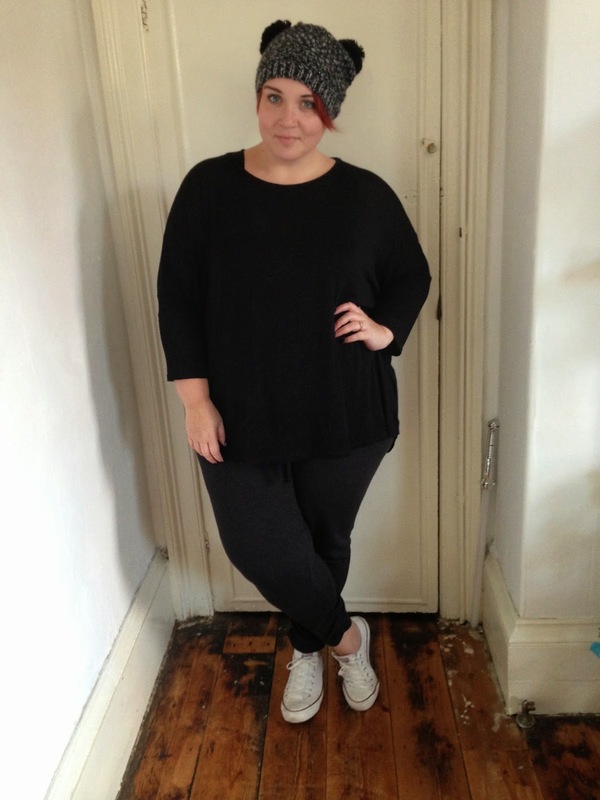 These separates are lovely quality and of course very comfortable. 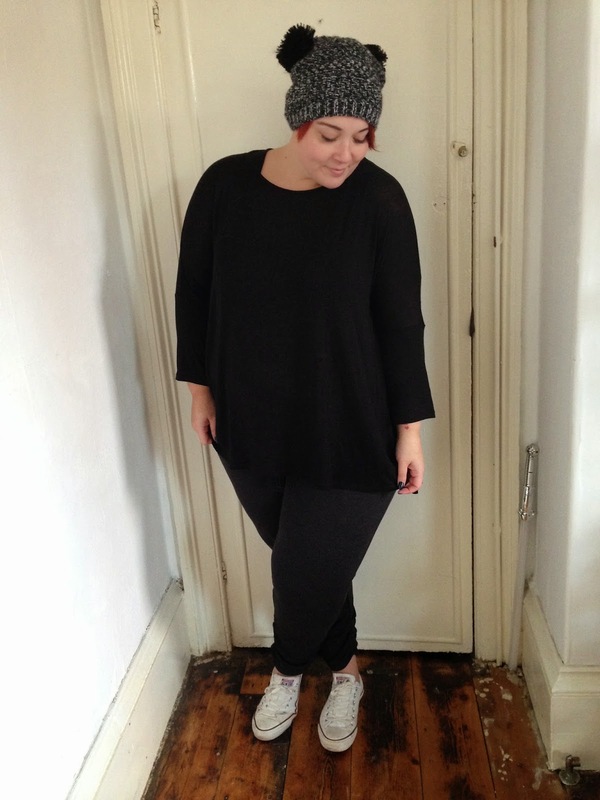 Yes it's not a fashion look but I think it's important to showcase basics too. 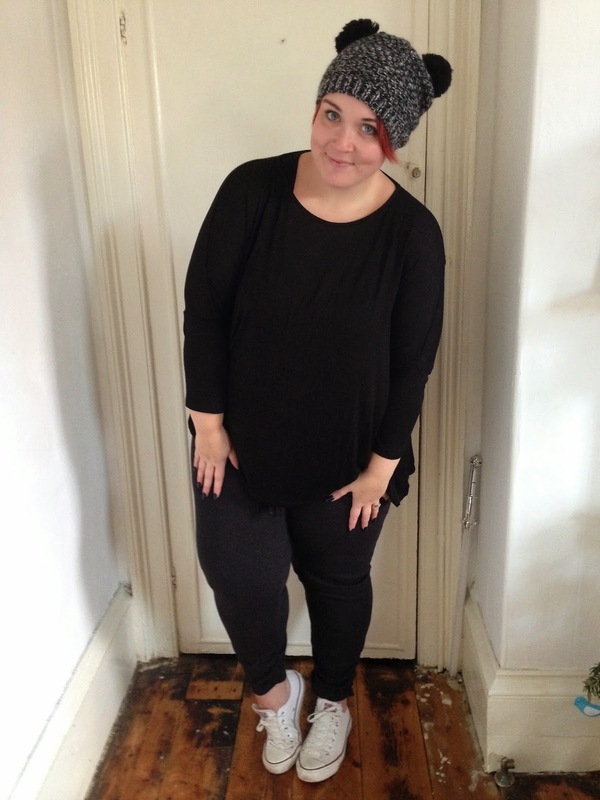 I teamed these pieces with my ever faithful cons and this super cute bobble hat from Simply Be. You look substantially better than I do when lounging around the house - a missed hair appointment means I have witches hair and my sole pair or leggings are covered in paint and torn to shreds (may have resulted in flashing a bum cheek at the neighbour when vacuuming on Sunday).